Operation Chough is pleased to have formed a partnership with the Durrell Wildlife Conservation Trust, with the aim of restoring the chough to the island of Jersey. 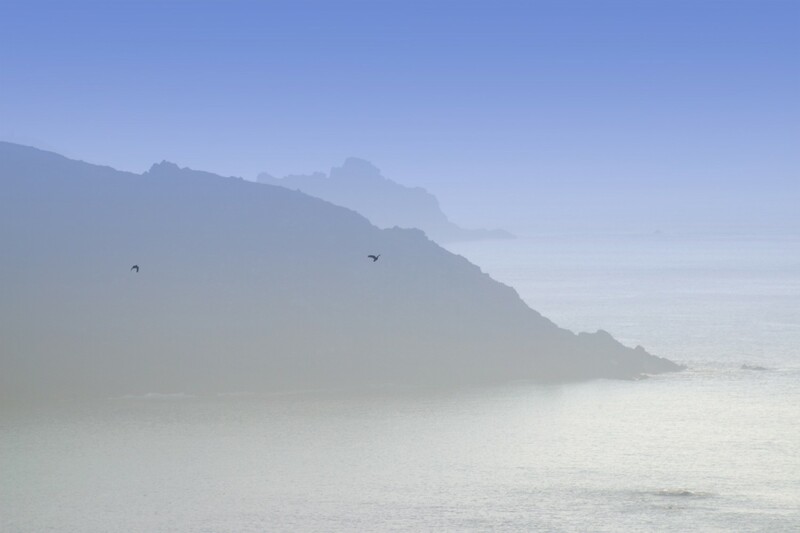 This is part of a larger project called ‘Birds on the Edge’ to improve coastal habitat around the island. It is hoped to restore several bird species including the Yellowhammer and Cirl Bunting. The chough was formerly a resident species on Jersey, although historical numbers are unknown. 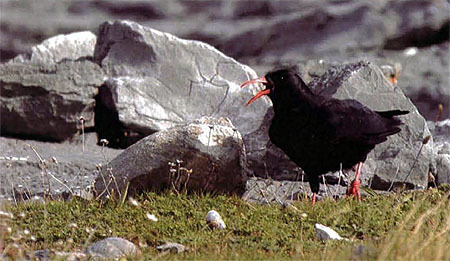 Once found on several areas of the island’s coastline, the chough became extinct on the island by 1900. The exact cause of the chough’s extinction in Jersey is unknown but is most likely to have followed similar patterns to that on mainland UK. Similar local extinction was recorded in all the other Channel Islands and the last attempted breeding may have been in Guernsey in 1929. Today the nearest Red-billed Chough populations are in Brittany, France, where less than 50 pairs survive, in Cornwall where the species returned in 2001, and in west Wales. There are fewer than 500 pairs of this rare bird in all of the UK. Durrell has a partnership with the States of Jersey and The National Trust for Jersey in order to restore areas of Jersey’s coastline with the aim of reversing declines and returning those birds locally extinct. The chough has been chosen as a flagship for this ambitious and long term project and it is proposed that one day this bird will once again be seen and heard on the island’s cliffs. In 2010 Durrell received two pairs of choughs bred at Paradise Park in Cornwall. A further six young birds were sent in 2011, four more in 2012, with more birds in the following three years. Some of these birds were the founders of a breeding group at Durrell Wildlife Conservation Trust, others were released into the wild on Jersey. The key to this release is a mix of parent-reared and hand-reared birds. A first pilot release of Red-billed Choughs on the coast of Jersey happened at the end of August 2013, the young birds having all been bred at Paradise Park in Cornwall. The specially designed aviary allows for a ‘soft release’, which includes training using visual and audible signals and positive reinforcement to help the birds as they adjust to life in their new wild environment. Supplementary feeding, monitoring health and weight, and tracking devices will all be used to gain as much advantage as possible for the birds as they get their freedom and face new challenges. Along with the project partners, local landowners have been involved in planning and extensive habitat preparation. Further releases at selected coastal sites will be determined after the trial releases and depending on the progress of the first group. Ideally 6 or more birds will be released each year.